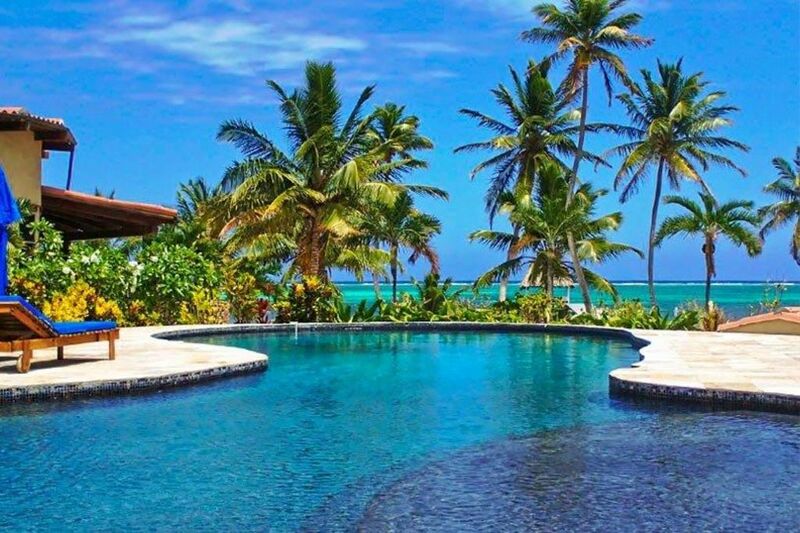 Villa Descanso (Nautilus 5) on Ambergris Caye, Belize is one of six Seascape Villas with gorgeous ocean views. Seascape is 3.5 miles north of San Pedro via the new concrete road (map). The white line in the ocean (see picture) is the second biggest barrier reef in the world. Seascape has its own beachfront with a private dock and boasts a fantastic designer pool as well as a friendly, well-trained staff and on-site concierge.